I have won high praise from this "Cannabis Pineapple Creme Pie" from seasoned pie bakers! It has the rich delicious creamy pineapple flavor that is sure become one of your favorite pies. Preheat oven to 350̊, and bake pie crust until golden. Combine powdered sugar and cornstarch with cold water in a medium sized heavy sauce-pot. Bring to boil over medium heat until thickened to the consistency of very thick pudding. Remove from heat and stir in drained crushed pineapple. Cooking marijuana is not as simple as throwing pot leaves into your brownie mix. You must first create marijuana infused ingredients. Cooking with medical marijuana is then as simple as substituting a marijuana infused ingredient for a regular one. 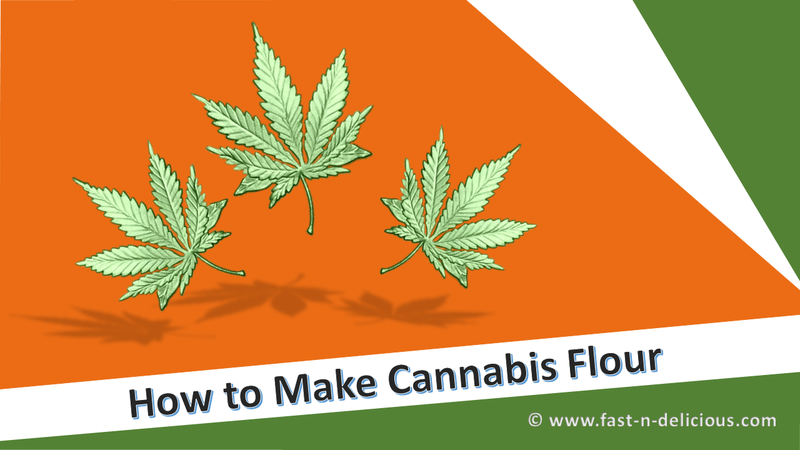 The first step is to learn "How to Make Cannabis Flour" by watching this video. I have won high praise from this "Aunties Pineapple Creme Pie" from seasoned pie bakers! 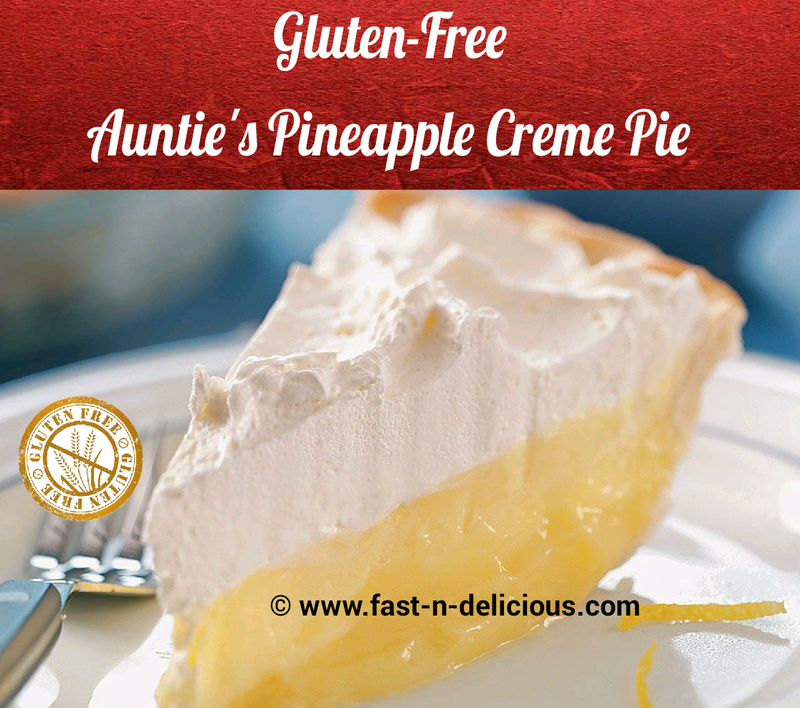 It has the rich delicious creamy pineapple flavor that is sure become one of your favorite pies. ~ Amber S.
I have won high praise from this "Aunties Gluten-Free Pineapple Creme Pie" from seasoned pie bakers! 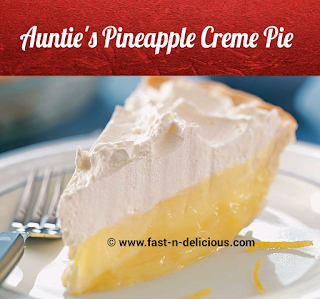 It has the rich delicious creamy pineapple flavor that is sure become one of your favorite pies. 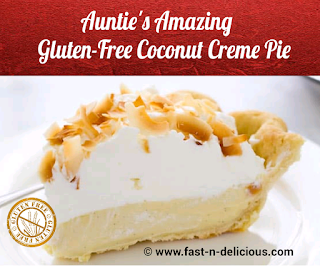 ~ Amber S.
I have won high praise from this "Amazing Gluten-Free Coconut Creme Pie" from seasoned pie bakers! 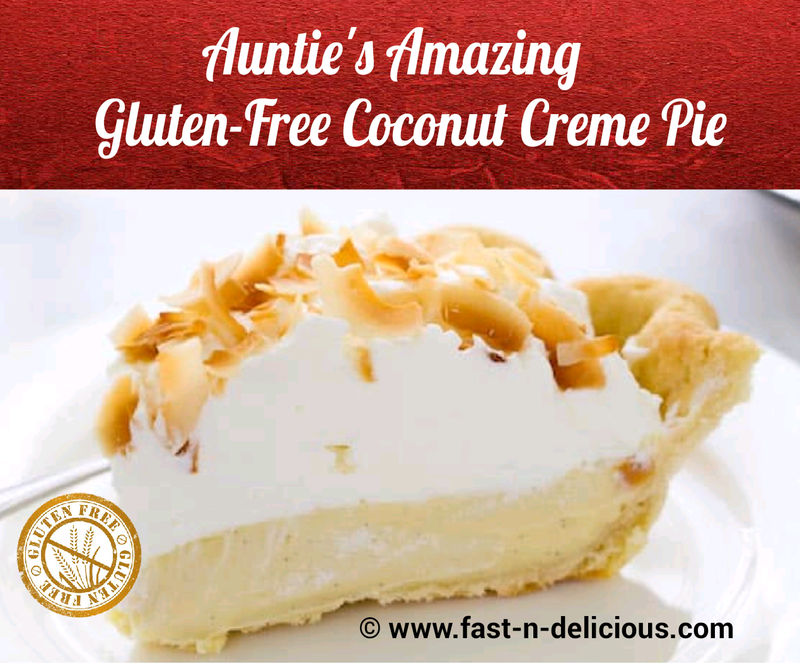 It has the deep nutty flavor of toasted coconut in the filling and is not as chewy as most coconut pies. ~ Amber S.
Toast coconut flakes on cookie sheet at 350̊ until golden, but not brown. Watch carefully, time depends on the oven. Mix cornstarch with cold milk. Add beaten egg yolk, and mix well. In heavy large saucepan, combine all ingredient except toasted coconut flakes. Simmer over medium heat until thick. Stir constantly using a wooden spoon or heat proof rubber spatula. Pour into baked pie crust(s) and allow to cool before topping if using mock merengue. 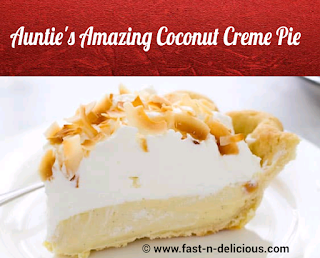 I have won high praise from this "Amazing Coconut Creme Pie" from seasoned pie bakers! 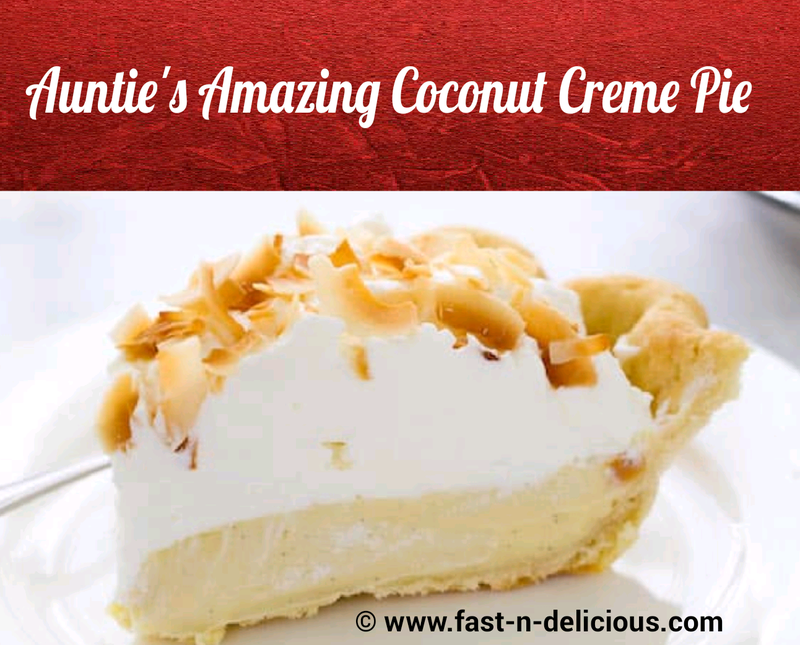 It has the deep nutty flavor of toasted coconut in the filling and is not as chewy as most coconut pies. ~ Amber S.
Pour into baked pie crust(s) and allow to cool before topping if using mock meringue. Toasted Coconut – spread over meringue, mock meringue, or alone.